Shetland’s most impressive archaeological attraction. This large settlement, with buildings from Prehistory through Norse times to the 16th century, was hidden under the sand until it was exposed by a gale at the end of the 19th Century. It’s a thought-provoking place, mainly in ruins, but with a fascinating, intact Wheelhouse that defies time. You should buy the short guide, which interprets the ruins from a number of vantage points (otherwise a fair bit of imagination is required). 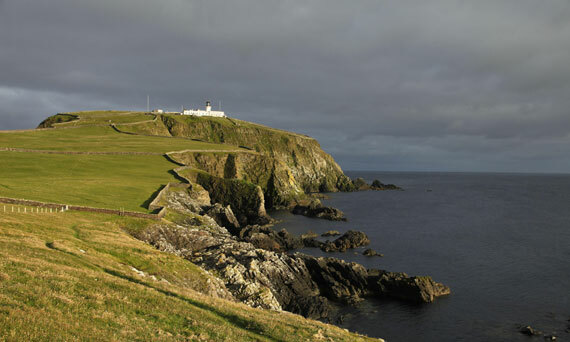 Near Jarlshof you can visit Sumburgh Head, an RSPB reserve. The lighthouse here isn’t open to the public, but you can view the many birds that inhabit the cliffs below. At various times there are puffins (over 2000 pairs), kittiwakes (1000 pairs), fulmars, guillemots (over 13,000 breed here), razorbills and cormorants. The other important bird-watching area is the Pool of Virkie, the bay just east of the airport. The best thing about a visit to the remarkable excavation at Old Scatness is that it’s very much a work in progress. A broch from around 300 BC is the centrepiece of the site, which is surrounded by wheelhouses and evidence of later Viking occupation. Jarlshof is a must see on your Scotland tours.